While most people meet their child for the first time in a delivery room, some parents have to meet their child in the reception area of an administrative building. Not Always Happy is a humorous and sharp chronicle about adopting and raising a son with Down syndrome from the Maine foster care system. The author quickly learns that life is best lived by expecting the unplanned when she makes the decision to become a parent in her late forties. As her unconventional family moves along in this life, she and her husband are less aware they are raising an atypical child or an adopted child. They are raising their child, and their family struggles with the same universal themes that any family goes through. Parents who have children with Down syndrome and other disabilities represent fifteen percent of all children between the ages of three to seventeen. Wagner-Peck provides an access point to start the debate about adopting a child with special needs along with her decision to homeschool. One of only a few books in the marketplace specifically addressing adopting from the foster care system. 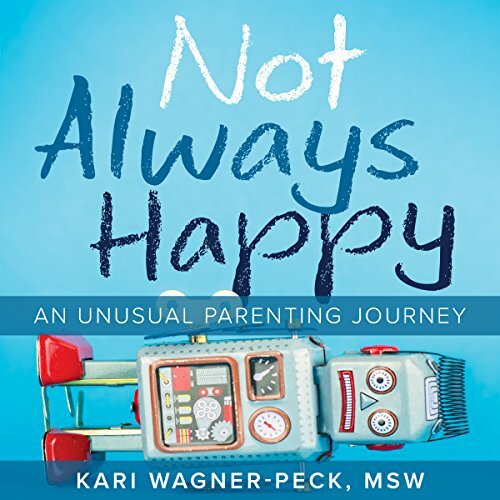 Kari Wagner-Peck, MSW, is a writer, blogger, and a freelance development consultant while she homeschools her son. She also has experience in arts management including development, event planning, and public speaking. Her writing has been featured in the Huffington Post, the New York Times' "Motherlode" blog, the Sydney Morning Herald, Yahoo Parenting, Parents Magazine's, and Empowering Parents. Kari Wagner-Peck currently resides in Portland, Maine. If you have any questions about this product by Central Recovery Press, contact us by completing and submitting the form below. If you are looking for a specif part number, please include it with your message.